2018 TOP GUN-USA "CHOICE PERK" SUPER REGIONAL"
"WIN "QUATRO BATS" OR WIN"TEAM JERSEYS"
Perks are always in additional to 1st and 2nd place trophies. New "Player of the Game" Interview and Prizes, where Girls Come First !!!! 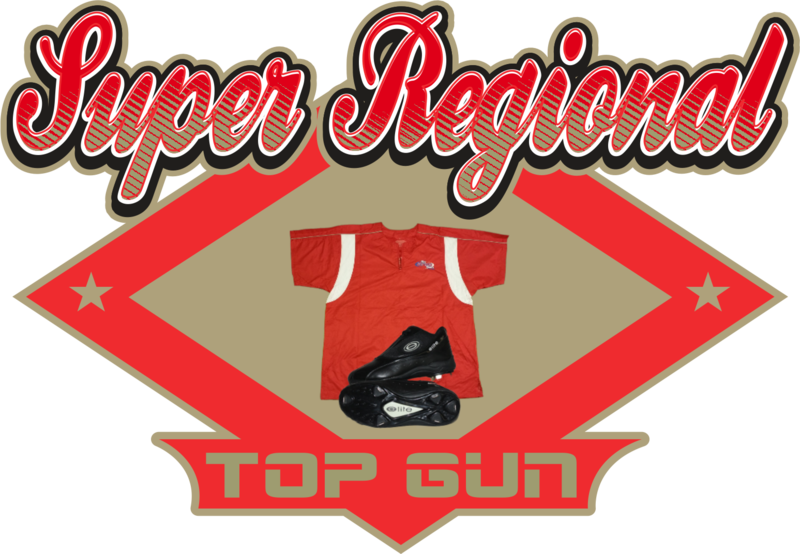 2018 TOP GUN-USA "SUPER REGIONAL"
All Winning teams will receive 12 Sublimated Jersey's in addition to trophies. 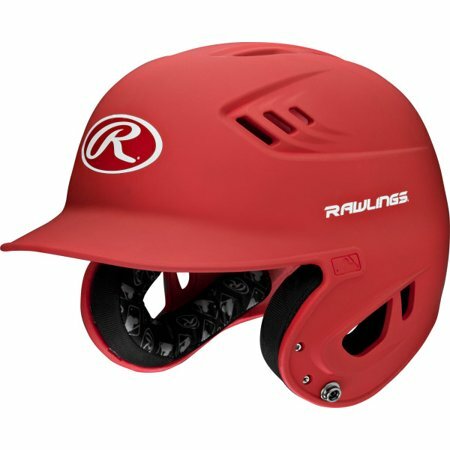 2018 TOP GUN-USA "ONE DAY SUPER SAVER WITH A SPECIAL PRIZE"
Winning teams will receive 1 Rawlings QUATRO team bat in addition to trophies. 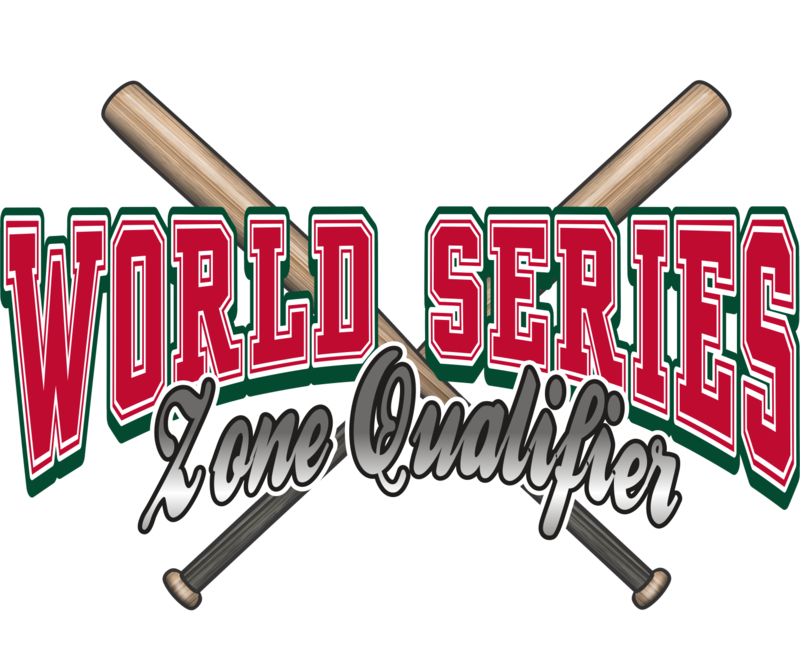 2018 TOP GUN-USA "BATTLE FOR THE QUATROS BATS"
Winners will also receive a FREE PAID BERTH to the 2018 Winter World Series. 2018 TOP GUN-USA "CHILDHOOD CANCER TOURNAMENT"
All Winning teams will receive a FREE PAID BERTH to the following events. 2018 Top Gun SC Summer Nationals August 3-5 Florence, SC and the 2018 Top Gun Winter World Series in Myrtle Beach, SC this is over $700.00 Value. Winning teams will also receive a FREE Entry into the next scheduled tournament hosted by Scott Ashworth. Teams must inform Scott of intent to play when receiving awards and this offer is only good for the next scheduled tournament and cannot be used for any other event. Runner-Up teams will receive 1/2 price entry fee to the next scheduled tournament hosted by Scott Ashworth. Teams must inform Scott of intent to play when receiving awards for this event and this offer is only good for the next scheduled tournament and cannot be used for any other event. 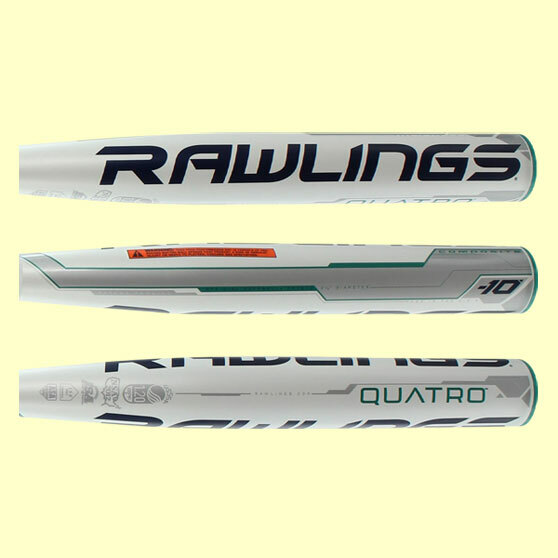 Winning teams will receive (1) Team RAWLINGS QUATRO BAT in addition to trophies. All Ages, all Brackets, only with Top Gun Sports-USA. 2018 TOP GUN-USA "SPRING NATIONAL CHAMPIONSHIPS"
The 16u and 18u Divisions will be a 1 day tournament. SATURDAY ONLY I have decided to split the 2 age groups due to the divisions in both. All AWARDS, FREE PAID BERTHS, and TRIPLE POINTS will remain the same. ENTRY FEE will be 250.00. "ROAD TO MYRTLE BEACH QUALIFIER"
All Winning teams in all Ages, all Brackets will receive (12) "JUMBO" TOP GUN CHAMPIONSHIP RINGS in addition to Trophies. 4 Games - 2 pool to seed Double Elimination or 1 warm-up and a 3 game minimum bracket. Depends on the number of teams entered. 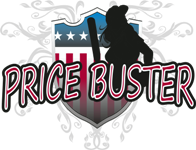 2018 TOP GUN-USA "ONE (1) DAY PRICE BUSTER"
"WIN $1,925.00 IN FREE PAID BERTHS THIS WEEKEND"
"CHAMPIONS RECEIVE (1) QUATRO BAT"
TOP GUN T-SHIRTS TO ALL TEAMS ENTERED. EACH TEAM WILL RECEIVE (12) TOP GUN T-SHIRTS THIS WEEKEND!!!! Winning teams will also receive a FREE Entry into the next scheduled tournament hosted by Scott Ashworth. Teams must inform Scott of intent to play when receiving awards and this offer is only good for the next scheduled tournament and cannot be used for any other event. Runner-Up teams will receive 1/2 price entry fee to the next scheduled tournament hosted by Scott Ashworth. Teams must inform Scott of intent to play when receiving awards for this event and this offer is only good for the next scheduled tournament and cannot be used for any other event. 2018 TOP GUN-USA "APRIL BLING SHOWDOWN"
"FREE PAID BERTH" TO MAY 5-6 MYRTLE BEACH TOURNAMENT"
This event is now a (6) GAME Tournament. All Teams will receive (6) Games. All Winning teams will also receive a FREE PAID BERTH to the SC SUMMER NATIONALS August 3-5, 2018 in Florence,SC. 2018 TOP GUN-USA "CHELSEA PARKER" SUPER REGIONAL"
OR A BOWNET SOFTBALL TEE, RUNNER UP TEAMS RECEIVES REMAINING PERK. A $25.00 per team donation will be made to the Chelsea Parker Athletic Assistance Fund. 12u schedule will be posted around 3pm!!!!! 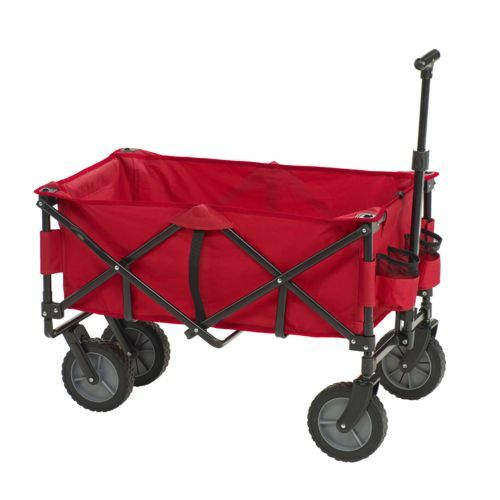 Winning teams will receive 1 Team LITTLE RED WAGON in addition to trophies. 2018 TOP GUN-USA "MAY DAY BLAST"
All games have been canceled today due to field conditions. All Winners and Runner-Ups will receive a LITTLE RED WAGON in addition to trophies. All winning teams in all divisions will receive a LITTLE RED TEAM WAGON in addition to trophies. 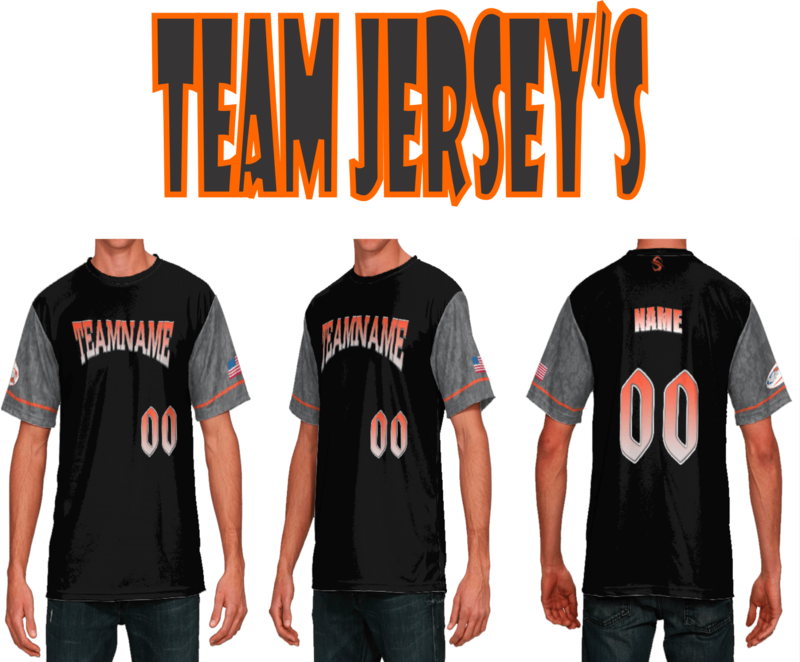 "WIN $1,925.00 IN FREE PAID BERTHS THIS WEEEKEND"
"CHAMPIONS RECEIVE A TEAM WAGON"
TOP GUN T-SHIRTS TO ALL TEAMS ENTERED. 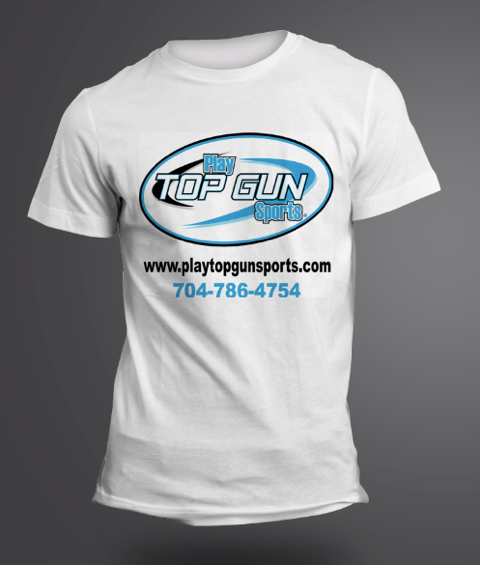 EACH TEAM WILL RECEIVE (12) TOP GUN T-SHIRTS THIS WEEKEND!!!! SPECIAL SUNDAY SUPER SAVER--2 Game tournament-1 pool Single Elimination. "MOTHERS DAY CHOICE AWARDS WEEKEND"
BEFORE EACH TEAMS FIRST GAME OF THE DAY, EACH PLAYER WILL PRESENT A SPECIAL TOP GUN FLOWER TO EACH MOTHER. THIS WILL BE DONE ON THE FOUL LINES. "YELLOW PERSONAL COOLER", while supplies last as they enter the gate. 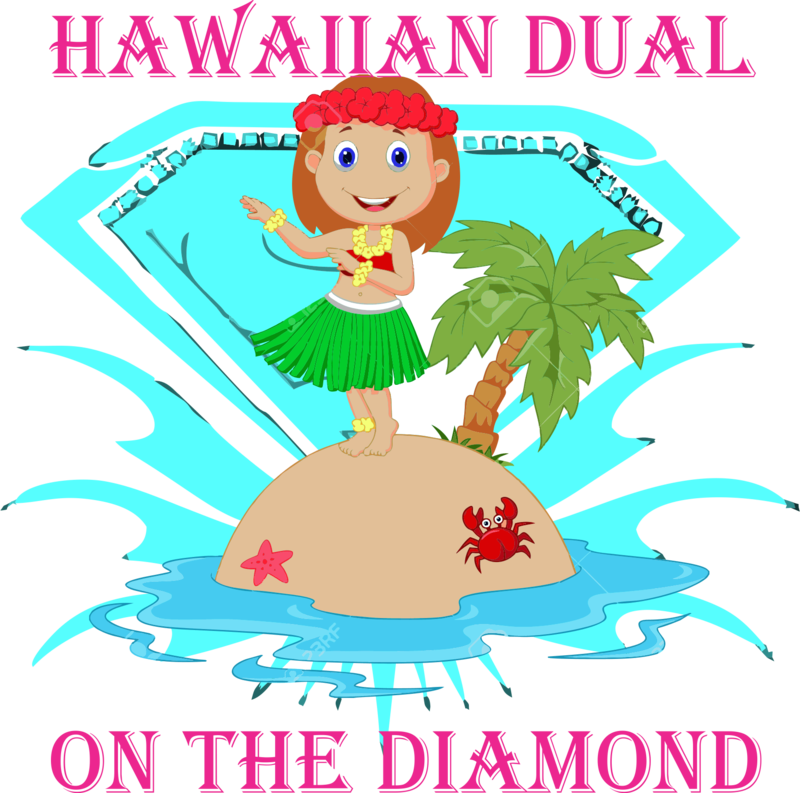 ALL TEAMS ARE ENCOURAGED TO PARTICIPATE IN THE DECORATE A TENT WITH FLOWERS CONTEST. PRIZES FOR THE TOP 3 TENTS. 2018 TOP GUN-USA "SPRING WORLD SERIES"
URGENT: 14u Division has been cancelled today at Hartsell. We will play 14u Division on Sunday. It will be 2 pool and single elimination. Entry Fee will be 275.00. FREE PAID BERTHS and Championship Belts will be given to Winners. I will post game times later today. All teams will play 2 ONE HOUR DROP DEAD pool games to seed double elimination bracket. Pool games will be DROP DEAD and if inning is not complete we will revert back to the previous innings score unless the home team is batting and is ahead when time is up then score will stand. NEVINS PARK HAS CANCELLED for Saturday. We will play 12u BB Division on Sunday. It will be 2 pool and single elimination. Entry Fee will be 275.00. FREE PAID BERTHS and Championship Belts will be given to Winners. All Winners and Runner-Ups will receive (1) CHAMPIONSHIP TEAM BELT. 2018 TOP GUN-USA "ONE DAY SUPER SAVER"
All games are on time !!!! Tournament Cancelled in Timken very wet field conditions! Heavy rain there last night! 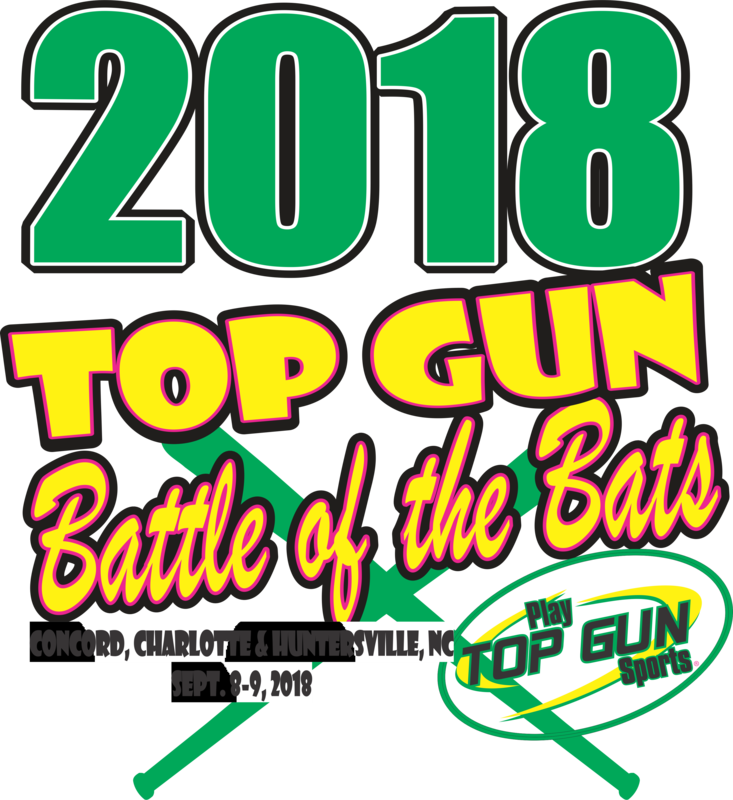 2018 TOP GUN-USA "BATTLE IN CHINQUAPIN"
.Tournament has been canceled fields are too wet to play on !!!!!!!!!!!!!!!!!!!!!!!!!!!!!!!!!!!!!!!!!!!!!!!!!! This tournament has been moved to Chinquapin, NC and PRICE has been DROPPED to help with travel. All Winning teams will receive Choice of items in picture in addition to trophies. Due to excessive rain and condition of the fields in Toccoa, GA, we have changed the location of this tournament to Anderson Sports Complex in Anderson, SC. Condition of fields in Anderson as of now are good, but due to the forecast, tournament is subject to cancellation. Will keep updated through the day. 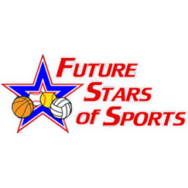 'WIN $1,925.00 IN FREE PAID BERTHS THIS WEEKEND"
2018 TOP GUN-USA 1 DAY "BATTLE IN SUMTER"
2018 TOP GUN-USA "BATTLE FOR THE TRIAD"
10u at Thomasville is cancelled !!!!!!! 2018 TOP GUN-USA "CHOICE WEEKEND"
1st and 2nd place teams in all Ages, all Brackets will receive Trophies in addition or Perks. 14u and 12u AA divisions that rained out in Oak Ridge will not be played tomorrow due to more rain they received today and calling for more tonight and in the am !!!!!! ALL TEAMS ENTERED WILL RECEIVE (12) TOP GUN T-SHIRTS FOR ATTENDING. Winning teams in all Ages, all Brackets will receive (12) Top Gun POWER PACKS in addition to trophies. 2018 TOP GUN-USA "MEMORIAL DAY BLOWOUT"
This tournament is a five (5) games two day event. All winning teams in all ages and divisions will receive 12 Top Gun POWER PACKS in addition to Trophies. Winners will also receive a FREE PAID BERTH to the 2018 SC Summer Nationals in Florence, SC, The 2018 Winter World Series in Myrtle Beach, SC and the 2018 Tournament of Champions in Aiken, SC. Winning teams will receive (12) Top Gun POWER PACKS in addition to trophies. FREE PAID BERTH TO ELITE WORLD SERIES IN MYRTLE BEACH, SC! COACHES CAMP SATURDAY MORNING -800am to 1200noon at Springwood Park $99.00 PER ATHLETE. 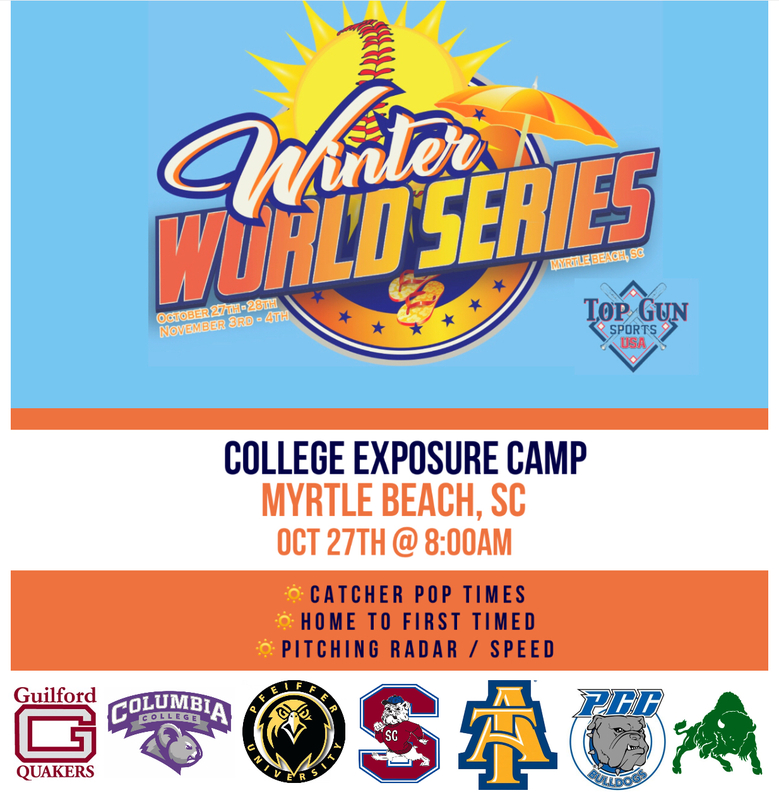 All Winning teams will receive a FREE PAID BERTH to the 2018 Top Gun Elite World Series in Myrtle Beach, SC. 5 Game Guarantee. 2 Instructional, 2 Showcase, 1 Single. Coaches Camp Saturday Morning. Focus on D2, D3, NAIA, and Junior Colleges for this event. Camp check in will start Saturday morning at 7:30 am once the Check in is complete we will get started with the camp!!!! 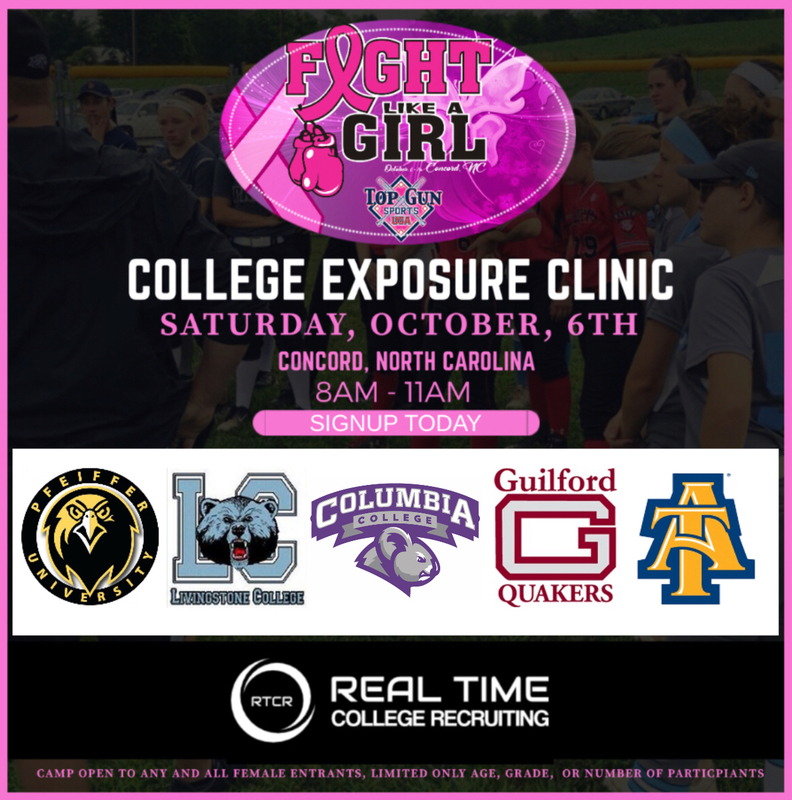 TOP GUN SPORTS OFFERS 12U TEAMS AND ATHLETES THE UNIQUE OPPORTUNITY TO PARTICIPATE WITH COLLEGE COACHES IN A COLLEGE CAMP. THIS DOES NOT HAPPEN OFTEN FOR 12-U TEAMS. ALL COLLEGES LISTED BELOW WILL BE WORKING THE CAMP WITH THE 12U TEAMS. GAMES BEGIN SATURDAY AT 100pm FOLLOWING THE COACHES CAMP. TEAMS WILL PLAY 2 POOL SATURDAY AFTERNOON / EVENING AND RETURN ON SUNDAY FOR SINGLE ELIMINATION. CAMP COST: 45.00 PER PLAYER OR $300.00 PER TEAM UP TO 12 PLAYERS. ALL CAMPERS MUST PRE-PAY AS WE WILL ONLY TAKE A CERTAIN AMOUNT OF CAMPERS TO ENSURE THAT EACH PLAYER HAS THE OPPORTUNITY TO WORK WITH THE COACHES. "NEW FIVE (5) GAMES FORMAT"
"ACTIVATE YOUR SUMMER FREE PAID BERTH"
First Ever Top Gun Winner Choice Awards for our State Championship Teams. After we have presented the Top Gun Sports-USA State Champions and the Top Gun Sports-USA Runner Up Team their State Championship Plaques and Trophies. 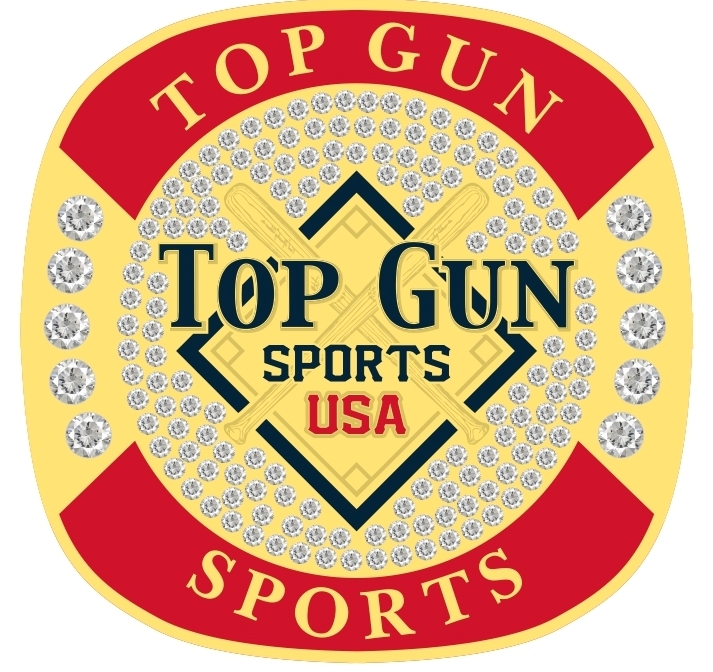 The Champions will have a Choice of Top Gun Championship (12) Individual Jersey's or they may choose Top Gun (12) Jumbo Championship Rings. The Runner Up team will receive remaining prize. Champions receive 12 Top Gun T-Shirts! 2018 TOP GUN-USA "COACHES APPRECIATION"
ALL TEAMS will receive One 2.5 gallon Bownet bucket with SNAP BACK BALLS as a SPECIAL THANK YOU from Top Gun. WIN $1,925.00 IN FREE PAID BERTHS THIS WEEKEND"
THIS EVENT HAS BEEN CHANGED TO 1 DAY SATURDAY ONLY. $250.00 entry fee. 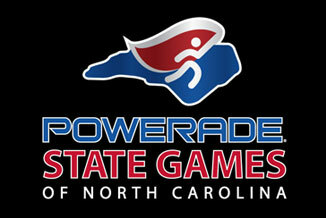 Winning teams in all ages and all divisions will receive 12 Top Gun POWER PACKS in addition to trophies. All Winning teams will receive 12 Power Packs in addition to trophies. 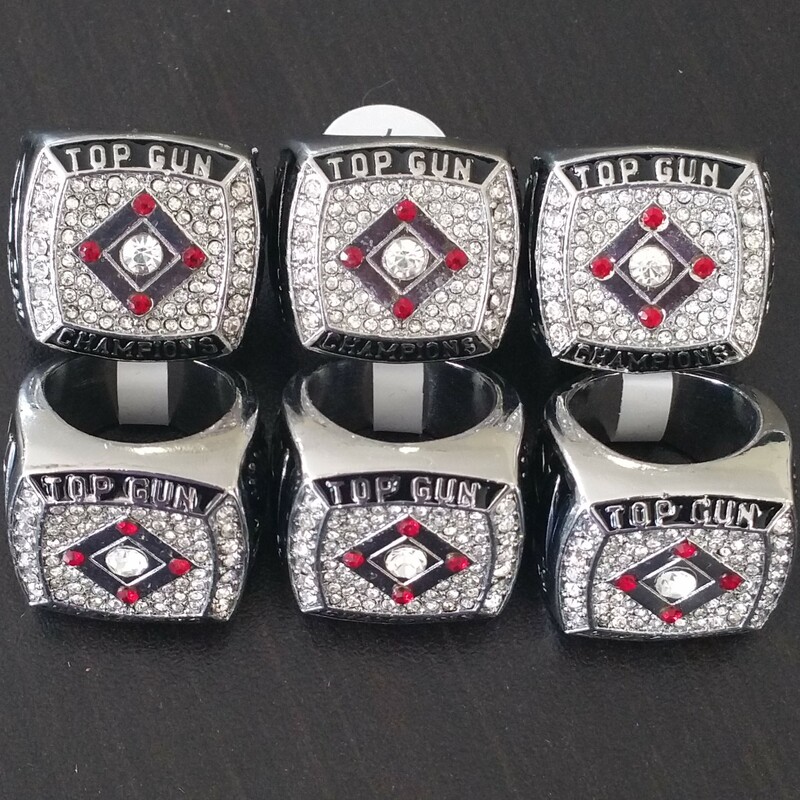 All winning teams will receive (12) TOP GUN-USA CHAMPIONSHIP RINGS in addition to trophies. 2018 TOP GUN-USA "ONE DAY SUMMER BLAST"
All WINNERS and RUNNER-UPS will receive 12 Top Gun T-Shirts in addition to trophies. 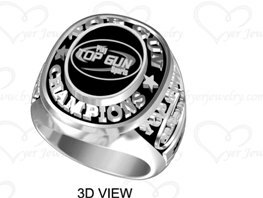 2018 TOP GUN-USA "VIRGINIA SUMMER STATE CHAMPIONSHIPS"
WINNING TEAMS IN ALL DIVISIONS WILL RECEIVE 12 JUMBO CHAMPIONSHIP RINGS IN ADDITION TO TROPHIES AND FREE PAID BERTHS. Sunday Schedule will be posted Friday Morning at 10am!!!! 2018 TOP GUN-USA "ZONE QUALIFIER"
"ACTIVATE YOUR SUMMER FREE PAID BERTHS"
NEW FORMAT (4) Games (1) DAY. Teams must activate FREE PAID BERTHS that they have won for the Summer and Winter World Series by participating in one ZONE QUALIFER for the Summer and One ZONE QUALIFER for the Winter. See tournament schedule for a list of Qualifier dates. "TOP GUN-USA GEORGIA STATE CHAMPIONSHIPS"
Champions in all Ages, all Brackets will win a Choice of the Items listed. Top Gun-USA will also award Trophies to Champions and Runner Up teams. Top Gun Gives all Ages, all Brackets its Perks. To our knowledge we are the only brand that gives all Ages, all Brackets Perk Prizes. 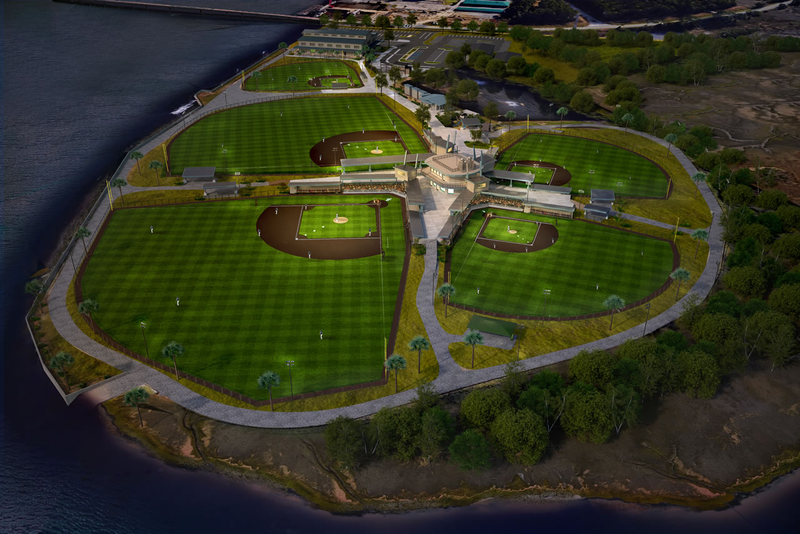 TOP GUN-USA "BATTLE AT BIG LEAGUE"
Come play in one of the NEWEST and COOLEST facilities in North Carolina. Rent a cabin for the day and relax between games. Winners and Runner-Ups will receive individual trophies and team plaques. I will do schedules on Tuesday evening as I am out of town helping with the Baseball World Series this weekend. Any team that drops after 5:00pm Tuesday will be charged the full entry fee. "ACTIVATE YOUR SUMMER FREE PAID BERTHS" "CHOICE PERKS"
ALL 8u TEAMS PLAY FOR FREE THIS WEEKEND!!!!!!!! 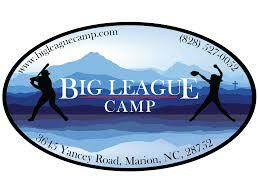 "THE ROAD TO NORTH MYRTLE BEACH"
CAMP PARTICIPANTS MUST BE SIGNED UP AND PAID BY Wednesday JUNE 20TH. CALL THE TOP GUN OFFICE TO GET SIGNED UP QUICK AS WE CAN ONLY TAKE A LIMITED NUMBER OF CAMPERS. TOP GUN SPORTS OFFERS ALL TEAMS AND ATHLETES THE UNIQUE OPPORTUNITY TO PARTICIPATE WITH COLLEGE COACHES IN A COLLEGE CAMP THIS WEEKEND. THIS DOES NOT HAPPEN OFTEN FOR YOUNGER TEAMS. ALL COLLEGES LISTED BELOW WILL BE WORKING THE CAMP WITH ALL TEAMS. CAMP COST: 99.00 PER PLAYER OR $400.00 PER TEAM UP TO 12 PLAYERS. ALL CAMPERS MUST PRE-PAY AS WE WILL ONLY TAKE A CERTAIN AMOUNT OF CAMPERS TO ENSURE THAT EACH PLAYER HAS THE OPPORTUNITY TO WORK WITH THE COACHES. 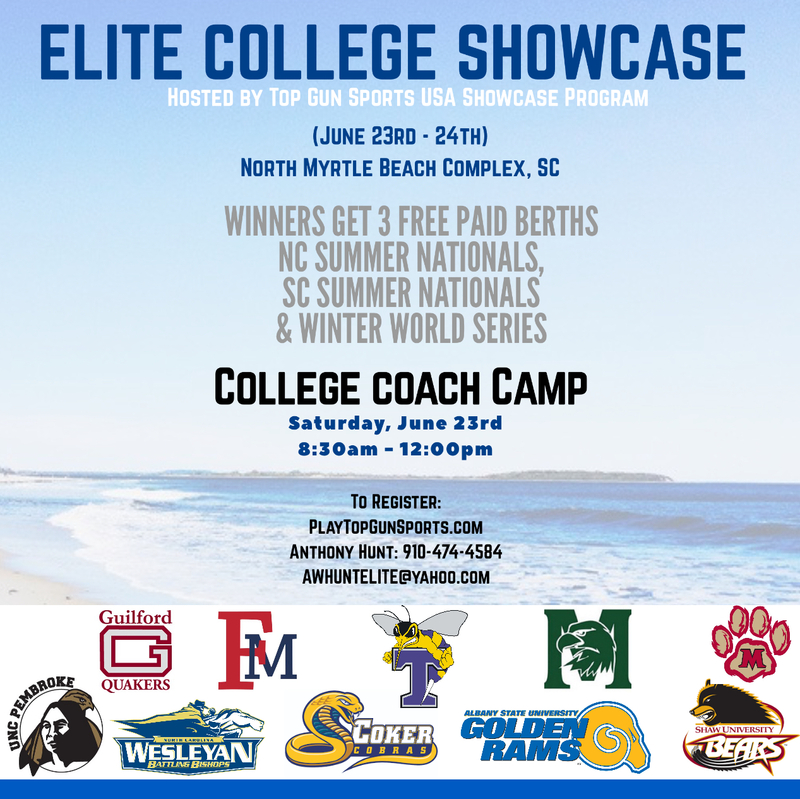 COLLEGE COACHES COMMITTED TO ATTEND CAMP AND TOURNAMENT !!! Teams must activate FREE PAID BERTHS that they have won for the Summer and Winter World Series by participating in one ZONE QUALIFER for the Summer and One ZONE QUALIFER for the Winter. See tournament schedule for a list of Qualifier dates. All Winning teams will receive a FREE PAID BERTH to the following events. 2018 Top Gun SC Summer Nationals August 3-5 Florence, SC and the 2018 Top Gun Winter World Series in Myrtle Beach, SC this is over $700.00 Value.Winning teams will also receive a FREE Entry into the next scheduled tournament hosted by Scott Ashworth. Teams must inform Scott of intent to play when receiving awards and this offer is only good for the next scheduled tournament and cannot be used for any other event. Runner-Up teams will receive 1/2 price entry fee to the next scheduled tournament hosted by Scott Ashworth. Teams must inform Scott of intent to play when receiving awards for this event and this offer is only good for the next scheduled tournament and cannot be used for any other event. 2018 TOP GUN-USA "SUMMER SLAM"
Winners will also receive a FREE PAID BERTH to the 2018 Winter World Series, the SC Summer Nationals and also the Tournament of Champions. 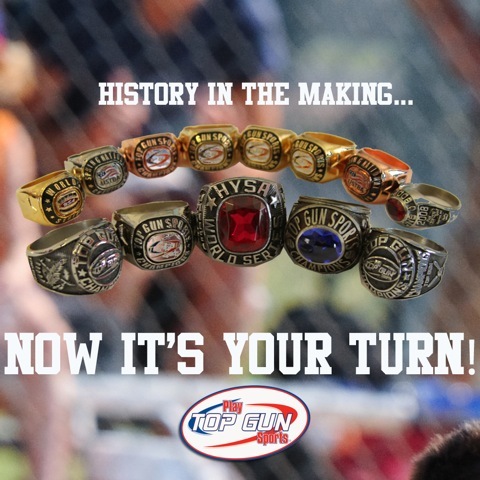 2018 TOP GUN-USA "SUMMER JAM WEEKEND" -- "ZONE QUALIFIER"
WINNERS AND RUNNER-UPS will receive CHAMPIONSHIP RINGS IN ADDITION TO TROPHIES THIS WEEKEND. TOP GUN USA - "ONE DAY SUPER SAVER"
Schedule will be drawn up Tuesday by 8pm. Any teams dropping after that time will be required to pay the full entry fee. We are full and turning teams away for spots already filled. 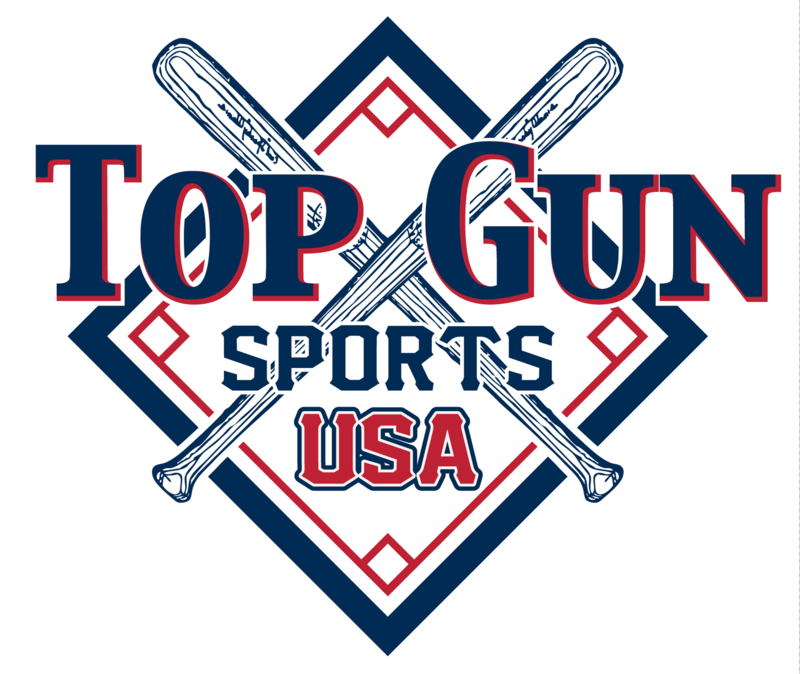 2018 TOP GUN-USA "SUNDAY SUPER SAVER" - "ZONE QUALIFIER"
1 DAY 3 GAME MINIMUM TOURNAMENT. All Winners will receive a FREE PAID BERTH to the 2018 Top Gun Summer and Winter World Series. This is over $700/00 Value. 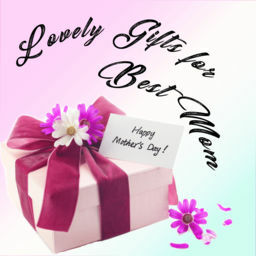 All Winners will have their CHOICE of Prize this weekend from the list of prizes. Teams must activate FREE PAID BERTHS that they have won for the Summer and Winter World Series by participating in one ZONE QUALIFER for the Summer and One ZONE QUALIFER for the Winter. See tournament schedule for a list of Qualifier dates. All Winning teams will receive a FREE PAID BERTH to the following events. 2018 Top Gun SC Summer Nationals August 3-5 Florence, SC and the 2018 Top Gun Winter World Series in Myrtle Beach, SC this is over $700.00 Value. Winning teams will also receive a FREE Entry into the next scheduled tournament hosted by Scott Ashworth. Teams must inform Scott of intent to play when receiving awards and this offer is only good for the next scheduled tournament and cannot be used for any other event. Runner-Up teams will receive 1/2 price entry fee to the next scheduled tournament hosted by Scott Ashworth. Teams must inform Scott of intent to play when receiving awards for this event and this offer is only good for the next scheduled tournament and cannot be used for any other event. ALL GAMES WILL BE PLAYED AT BRADFORD PARK THIS WEEKEND. 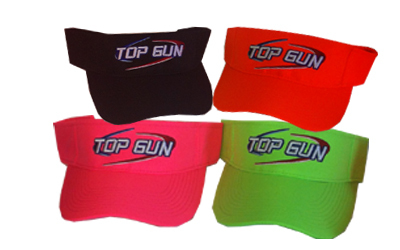 2018 TOP GUN-USA "ONE DAY SUPER SAVER" (4) GAMES"
TOP GUN USA--"ONE DAY SUPER SAVER"
Champions get choice of (12) Top Gun Visors, or (12) Top Gun T-Shirts, Runner Up receives remaining perk. Schedule revised please look over the revisions to make sure you know when your team plays!!!!!! All Winners will receive a FREE PAID BERTH to the 2018 Top Gun SC Summer Nationals in Florence, SC and the Top Gun Winter World Series. This is over $700.00 Value. All Winning teams will receive a FREE PAID BERTH to the following events. 2018 Top Gun SC Summer Nationals August 3-5 Florence, SC and the 2018 Top Gun Winter World Series in Myrtle Beach, SC this is over $700.00 Value.Winning teams will also receive a FREE Entry into the next scheduled tournament hosted by Scott Ashworth. Teams must inform Scott of intent to play when receiving awards and this offer is only good for the next scheduled tournament and cannot be used for any other event. Runner-Up teams will receive 1/2 price entry fee to the next scheduled tournament hosted by Scott Ashworth. Teams must inform Scott of intent to play when receiving awards for this event and this offer is only good for the next scheduled tournament and cannot be used for any other event. 2018 TOP GUN-USA "SUMMER WORLD SERIES"
After we present our Champions and Runner Up teams with the 2018 NEW TOP GUN WORLD SERIES 5 INCH MEDALS and a 2018 NEW CHAMPIONSHIP BANNER they will get JUMBO CHAMPIONS RINGS TO ALL CHAMPIONS. RUNNER UP TEAMS, IN ALL AGES ALL BRACKETS will receive Additional Regular Rings. "TOP GUN-USA DOES NOT CHARGE AN ATHLETE ENTRY FEE FOR THE SKILLS COMPETITION"
Skills Competition, Home Run Derby, Road Runner Race, Around the Horn Competition, Parent Relay Race. Keep Checking this Web Site for more information. The winners of the competitions will be given awards. Athletes must be present to Win. "BACK BY POPULAR DEMAND FOR 2018"
All Athletes will sign up for opportunities to win GREAT PRIZES AT OPENING CEREMONIES. 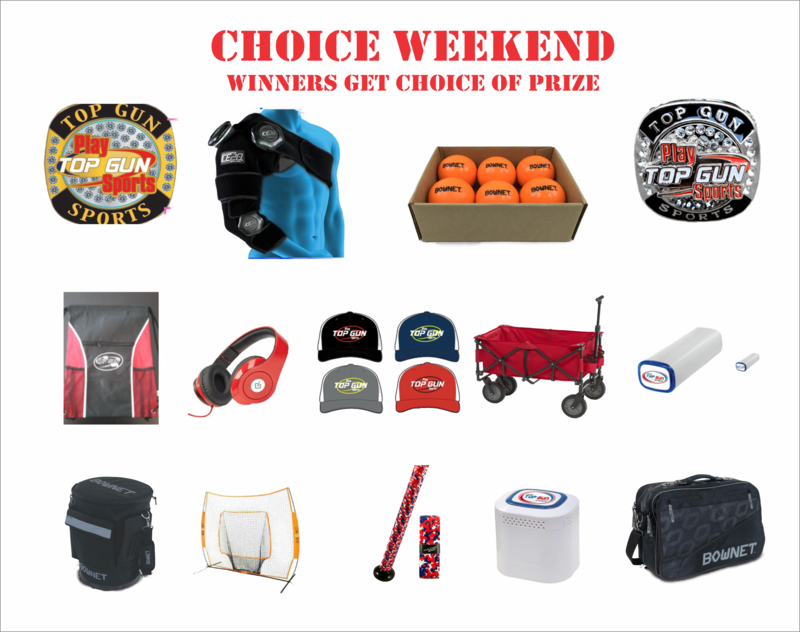 10-Top Gun Team Wagons, 10-Bownet Ball Bags, 10-Bownet Bucket Bags, 10 Top Gun Coaches Buckets, 10-Bownet Batting Caddies, 10-Bownet Batting Tees, 5 Bownet Big Mount Nets, and much more. Any team that drops after the Deadline Entry Date of July 13th will be charged the full entry fee regardless of any Free Paid Berths. 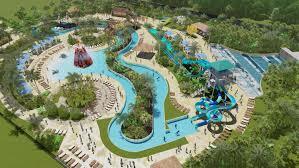 Come JOIN us this weekend for a COOL and SPLASHY experience at the BRAND NEW NEPTUNE WATER PARK. Games will end on Saturday around 200pm so that all teams can enjoy and afternoon of cool splashy fun. All athletes playing in the tournament will be admitted free to the NEW Water Park. 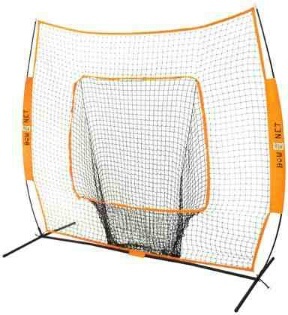 All Winners in all ages and all divisions will receive 1 Team BOWNET Hitting Practice Net in addition to trophies. 14u and 16u will play at Jeff Shelton Park in Locust. TOP GUN COACHES APPRECIATION BUCKETS TO ALL TEAMS ENTERED!!!! 2018 TOP GUN-USA "SUMMER NATIONAL CHAMPIONSHIPS"
We are playing at Doby Bridge Park in Fort Mill, SC. 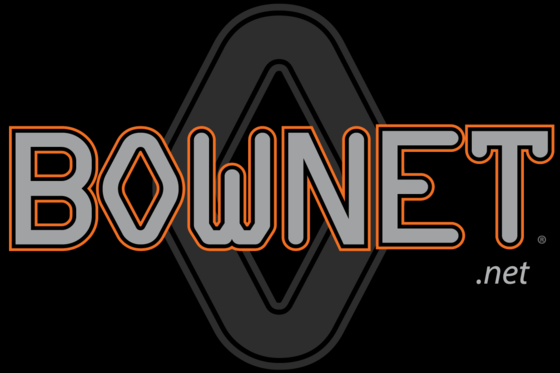 All winning teams will receive a BOWNET BIGMOUTH hitting net in addition to trophies. We are hoping to start games at 2:45pm. Please remain off the until further notice. Gates will open 1 hour 30 minutes prior to 1st game time. ALL CHAMPIONS WILL RECEIVE (12) JUMBO CHAMPIONSHIP RINGS and ALL RUNNER UP TEAMS WILL RECEIVE (12) REGULAR RINGS IN ADDITION TO TROPHIES OR MEDALS. SELECTS "PLAY TOP GUN SPORTS" for BASEBALL AND SOFTBALL"
"TOP GUN-USA" "SC SUMMER NATIONALS"
COURTYARD BY MARRIOTT $104 2680 Hospitality Blvd. SPRINGHILL SUITES: $99 2670 Hospitality Blvd. 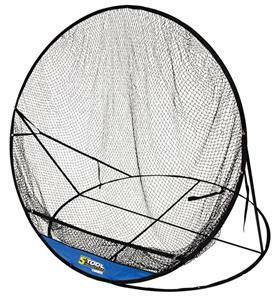 TOP GUN SPORTS USA- "ONE DAY SUPER SAVER"
ALL WINNING TEAMS WILL RECEIVE 1 BOWNET HITTING NET IN ADDITION TO TROPHIES. All winning teams will receive a hitting net in addition to trophies. 14u and HSU complex has cancelled for Saturday and Sunday !!!! 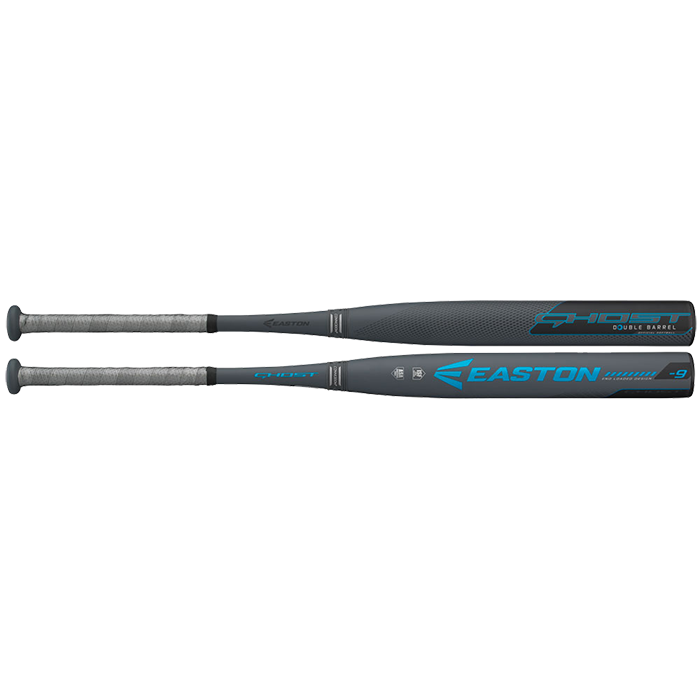 All Winning teams in the GOLD Bracket will receive 12 EASTON GHOST BATS. NEW BATS with FULL WARRANTY. All teams entered will receive 1 2.5 gallon BOWNET Bucket with snapback balls. 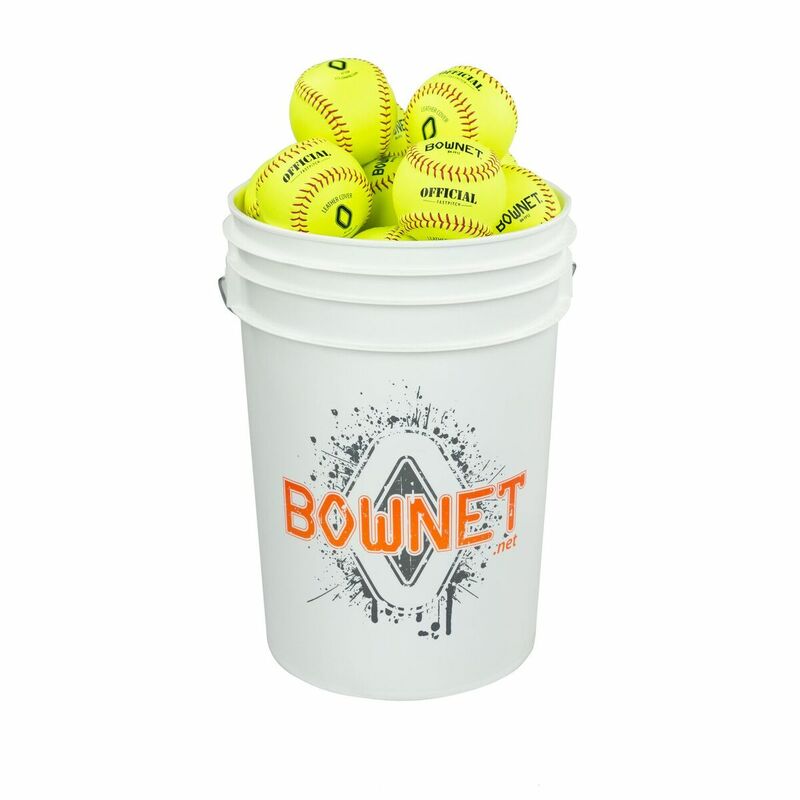 TOP GUN-USA "ONE DAY SUPER SAVER"
ALL TEAMS will receive a 2.5 Gallon BOWNET bucket filled with Bownet Snap Back Balls just for playing this weekend. Winners and Runner-up will receive trophies. 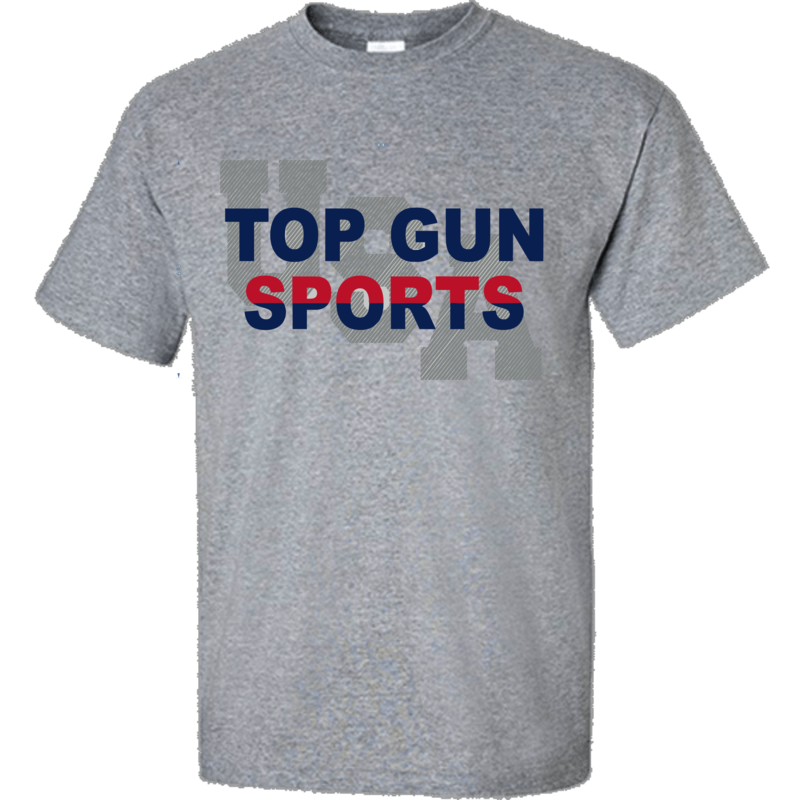 Champions and Runner Up teams in all Ages, all Brackets will receive (12) Top Gun T-Shirts. 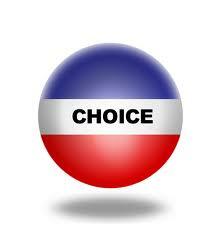 Choice Meaning the winning teams can choose his perk prize listed this weekend. All Winners will receive a FREE PAID BERTH to the 2018 Top Gun Winter World Series. This is over $400.00 Value. "FREE GIFTS TO ALL TEAMS"
All "TEAMS ENTERED" will receive a 2.5 Gallon Bownet bucket with wiffle balls in addition to trophies. 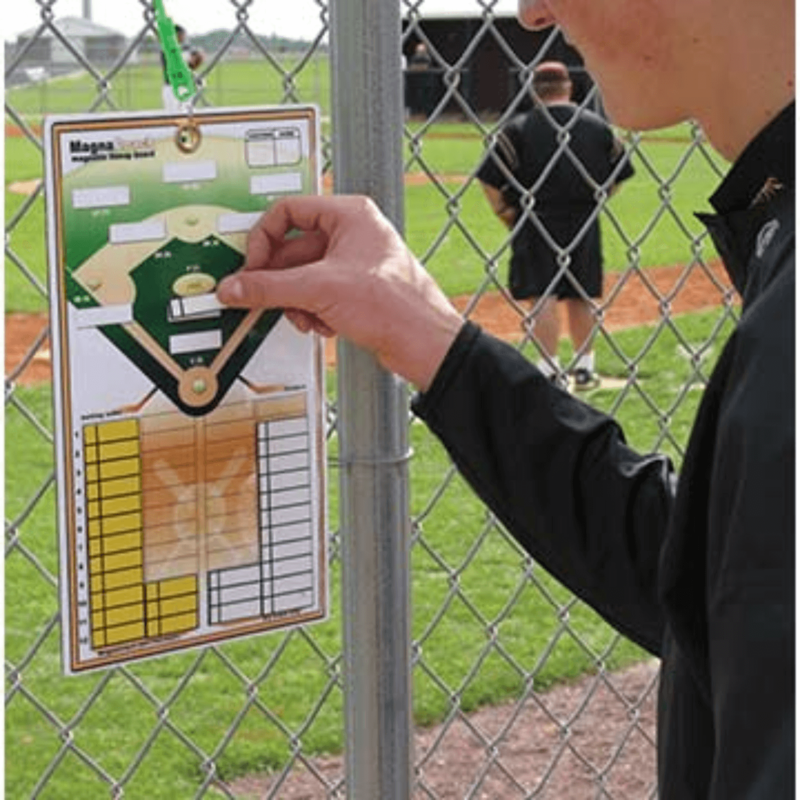 All "TEAMS ENTERED" will receive a Coaches Magnetic Clip Board. WINNING TEAMS IN ALL AGE ALL BRACKETS WILL RECEIVE "SIX" (6) BOWNET WEIGHTED SOFTBALLS. THIS IS OVER A $400.00 VALUE !!! THIS IS OVER A $400.00 VALUE !!!! All teams that enter will receive a TOP GUN BALL BUCKET just for playing. TOP GUN COACHES APPRECIATION, TOP GUN COACHES BUCKETS TO ALL TEAMS ENTERED!!!! DEPOSIT OF $200.00 PER TEAM IS DUE BY AUGUST 14th IN ORDER TO HOLD YOUR SPOT. PLEASE CALL THE TOP GUN OFFICE 704-786-4754 TO PAY YOUR DEPOSIT AND CONFIRM YOUR ENTRY. ALL CHAMPIONS WILL RECEIVE (12) JUMBO CHAMPIONSHIP RINGS AND ALL RUNNER UPS WILL RECEIVE (12) REGULAR RINGS IN ADDITION TO TROPHIES OR MEDALS. Schedule will be out after 2 pm Thursday !!!!!! "FREE TOP GUN-USA COACHES BUCKET TO ALL TEAMS ENTERED"
ALL TEAMS THAT ENTER WILL RECEIVE A TOP GUN-USA BALL BUCKET. 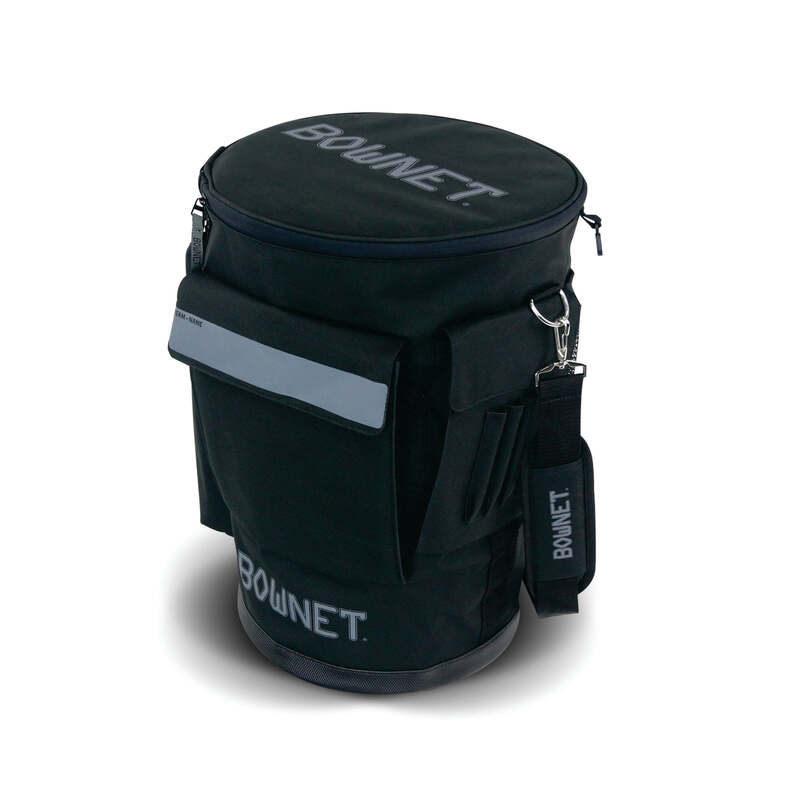 Winning teams will have Choice of a Bownet Ball Caddie or a Bownet Batting Tee. Runner-Up will receive the other in addition to trophies. Winning teams will have a choice of a Bownet Hitting Tee or Bownet ball caddie in addition to trophies and the Runner-Up team will receive the other one. Winners will also receive a FREE PAID BERTH to the 2018 Top Gun-USA Winter World Series & The 2018 Top Gun EASTERN WINTER NATIONALS. over 700.00 Value. TOP GUN-USA "BATTLE OF THE BATS"
All players from all teams are encouraged to come by Rocky River to participate in the batting cages to try out all the newest 2019 model bats including Demarini, Louisville, Easton & Rawlings. We will have Demo bats from all these suppliers for girls to hit with in the cages. NO Charge. We will also be giving away great prizes throughout the day so be sure to stop by. We will also have plenty of bats to sale at GREAT PRICES!!! 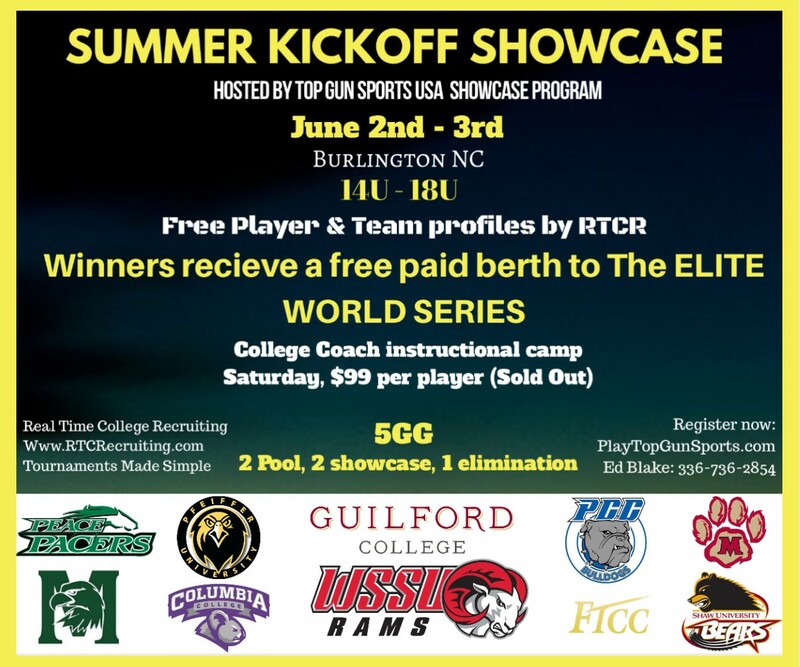 "THIS IS ONE OF THE BEST EVENTS ON THE EAST COAST AND WE WILL BE MAKING OUR 2019 TOP GUN-USA VIDEO"
"COME TEST ALL THE NEW 2019 BATS"
2019 EASTON "GHOSTS"---2019 RAWLINGS "QUATRO'S"---2019 LOUISVILLE SLUGGER "LXT"---2019 LOUISVILLE SLUGGER "XENO"---2019 LOUISVILLE SLUGGER "PXT"---2019 DEMARINI "CARBON CANDY"---2019 DEMARINI "CFX"
GIRLS CAN TEST THE 2019 NEW BAT MODELS "FREE OF CHARGE"
AT THE ROCKY RIVER SPORTS COMPLEX. ON FIELD HITTING TUNNELS FOR ALL PLAYERS TO USE. 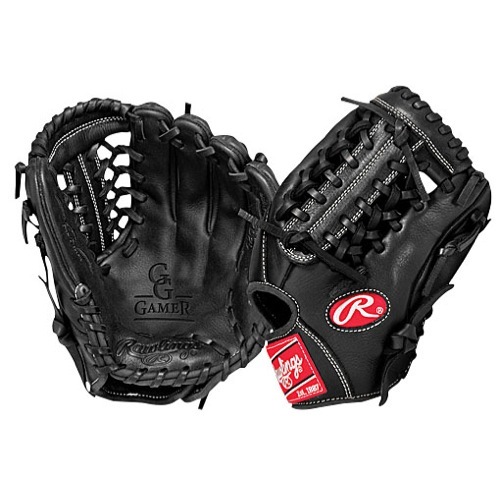 HIT EARLY AND RECEIVE RAWLINGS FREE GIFTS FOR TESTING THE NEW MODELS. HIT AS MANY TIMES AS YOU WANT. ALL WINNING TEAMS WILL RECEIVE ONE (1) of the DEMO BATS in addition to Trophies. 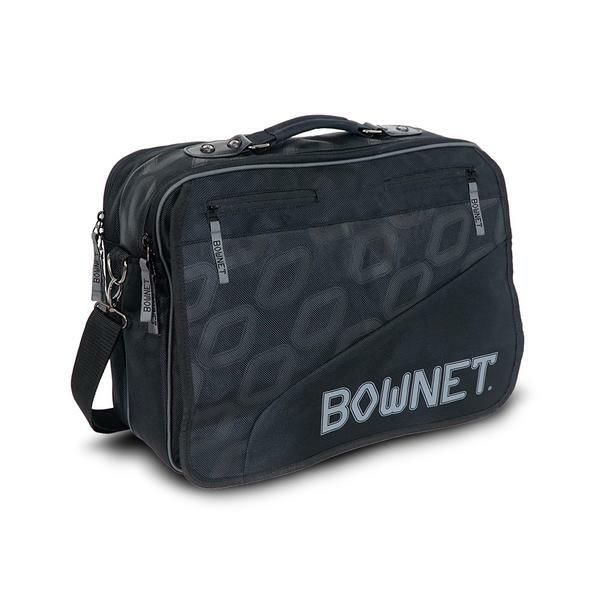 Bownet Coaches Briefcase for all Teams Entered. All Winning teams will receive 1 EASTON GHOST TEAM BAT in addition to trophies. Winning teams will also receive a FREE PAID BERTH to the 2018 Top Gun Winter World Series. "BRIEF CASE TO ALL TEAMS ENTERING"
All teams entered will receive one BowNet Coaches Briefcase as a Special Thank You from Top Gun Sports. ALL GAMES CANCELLED AT YMCA DUE TO EXCESSIVE RAIN LAST NIGHT!. "SUPER SAVER ONE (1) DAY WEEKEND"
"BOWNET SIX (6) WEIGHTED SOFTBALL TO ALL TEAMS ENTERED COMPLIMENTS OF TOP GUN-USA SOFTBALL"
UNFORTUNATELY DUE TO THE WEATHER FORECAST OF HURRICANE FLORENCE AS WELL AS FIELDS BEING CLOSED AND CANCELLED WE HAVE DECIDED THAT FOR THE SAFETY OF OUR TEAMS WE WILL NOT PLAY THIS WEEKEND. I ENCOURAGE AND INVITE ALL TEAMS TO SIGN UP FOR NEXT WEEKEND AS SOON AS POSSIBLE AS IT IS ALMOST FULL. BUT I WILL GET ADDITIONAL FIELDS TO MAKE SURE THAT ALL TEAMS FROM THIS WEEKEND THAT WANT TO PLAY WILL BE ABLE TO GET IN. "TOTAL CONTROL WEIGHED SOFTBALL TO ALL WINNERS, ALL AGES, ALL BRACKETS"
"BOWNET BUCKET OF SNAP BACK PRACTICE BALLS TWO DOZEN (24) TO ALL RUNNER UP TEAMS, ALL AGES, ALL BRACKETS"
Tournament is canceled for Saturday!!!! please be safe during the storm !!!! Winners will receive choice of a Bownet Caddie or Bownet Tee in addition to trophies. 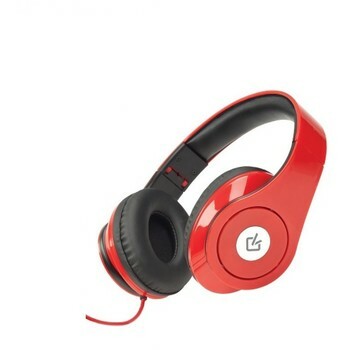 Runner-Up will receive the other. We are Cancelling "One Day Super Saver" Sept. 16 tournament this weekend! Due to Hurricane Florence! Be safe, prepare, take care of family! See you at a ballpark, soon! "SUPER SAVER ONE (1) DAY"
& 2nd Annual Hayden King benefit event. A portion of the proceeds will go to the King Family in honor of Hayden. This family has endured a terrible tragedy and our prayers are still with them always. Please show your support by playing this weekend. Any donations would be greatly appreciated. All winning teams will receive twelve (12) Championship RINGS in addition to trophies. "FALL STATE CHAMPIONSHIPS' "CHELSEA PARKER FUNDRAISER"
We will have donation boxes set-up at each of the gates this weekend and would truly appreciate any donations that you could give. This fund is a non-profit and has helped so many young girls live their dreams of playing softball. Please help out if you can. We have been asked to collect donations this weekend to help with the disaster relief due to Hurricane Florence. So many families are displaced and in shelters and in desperate need of the items below. If you could bring any of the below items on Saturday and leave at the gates we will collect and deliver to the Disaster Relief on Sunday. We appreciate anything that you can bring. BOTTLED WATER, NON-PERISHABLE FOOD ITEMS, BABY WIPES, DIAPERS, BABY FORMULA, PERSONAL ITEMS SUCH AS DEODORANT, SOAP, TOOTHPASTE, TOOTHBRUSHES, HAIRBRUSHES, COMBS, FEMININE PRODUCTS, ETC. ALL WINNING TEAMS IN ALL AGES, ALL BRACKETS WILL RECEIVE TWELVE (12) HOODIES. 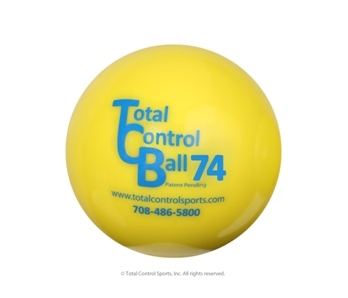 CHAMPIONS AND RUNNER UP TEAMS IN ALL AGES, ALL BRACKETS WILL RECEIVE 6 BOWNET WEIGHTED BALLS. Due the hard rain we have had for the last hour and forecast of continued rain all day. We have decided to cancel play today. Pool play standings will be the final standings for the 12U event. WINNERS will also receive a FREE PAID BERTH to the 2018 Top Gun Winter World Series in Myrtle Beach, SC and the 2019 Top Gun Spring National Championships to be held in the Washington DC Metro area. This is a value of over 800.00 in Free Paid Berths. THERE WILL BE NO GATE FEES FOR SPECTATORS AT THIS EVENT. 10u BB schedule has been revised and all games at springwood start at 830am!!!! Bownet Bucket Bags for all Teams Entered. "FREE" Bownet Bucket Bags for all Teams Entered. All teams will receive (12) Top Gun T-Shirts for attending. All teams will receive ONE BowNet Bucket Bag for participating. All Champions and Runner Up teams will receive Top Gun Medals in all Ages, all Brackets. "SUPER SAVER" AND "BUCKET BAGS"
"FREE BUCKET OF TOP GUN NEW SOFTBALLS TO ALL TEAMS ENTERED"
ALL TEAMS THAT ENTER AND PER-PAY BY CALLING THE TOP GUN OFFICE WILL RECEIVE ON ARRIVAL AT THE TOURNAMENT A TOP GUN-USA BUCKET OF ONE DOZEN (12) SOFTBALLS. YOUR AGE DIVISION WILL DETERMINE WHAT SIZE SOFTBALL YOU WILL RECEIVE. THIS EVENT HAS BEEN CANCELLED DUE TO HURRICANE FLORENCE. "TOP GUN-USA "FREE BUCKET OF SOFTBALL"
URGENT: Schedule Change @ Frank Liske Park. Due to severe weather overnite we are unable to play on field # 3 so I had to condense to 3 fields. Please see new game times. THE TEAMS IN GREEN HAVE ALREADY CONFIRMED FOR THEIR BUCKET OF SOFTBALLS AND CAN PICKUP AT FIRST GAME SITE. 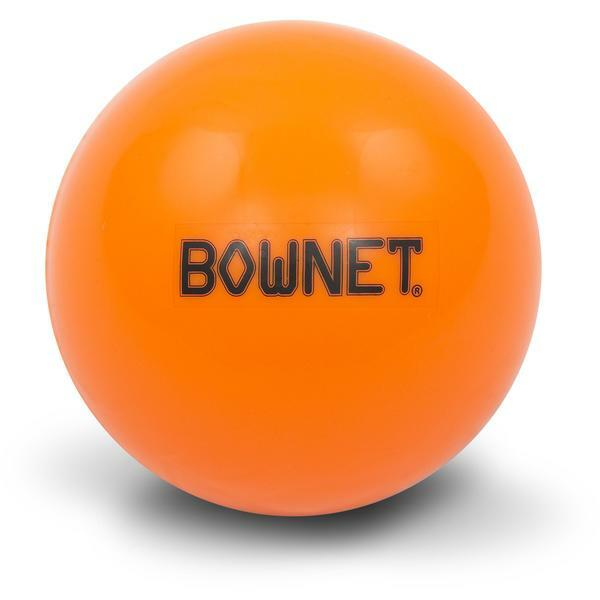 "BALL BAGS TO ALL WINNING TEAMS, ALL AGES, ALL BRACKETS"
Bownet Ball Bags for all Teams Entered. 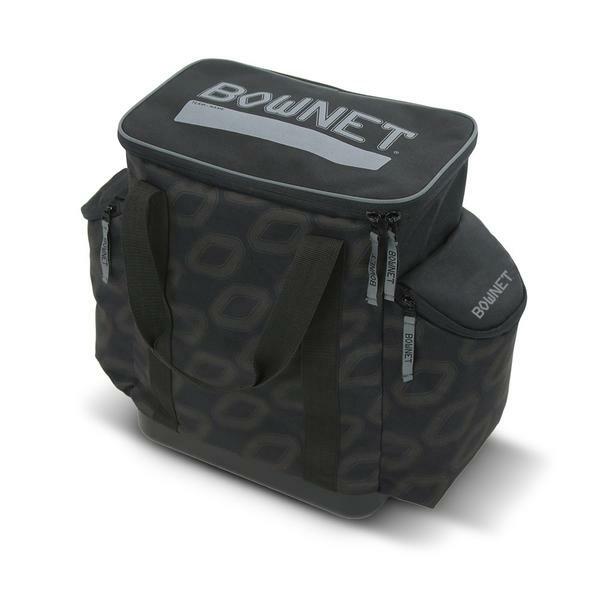 All teams entered will receive 1 FREE Bownet Ball Bag per team. THIS IS OVER A $600.00 VALUE !!!! "CANCELLED DUE TO HURRICANE FLORENCE DAMAGE"
"FIGHT LIKE A GIRL-PINK OUT"
"PINK OUT THIS MONTH WITH TOP GUN-USA"
"PINK MEDALS THIS WEEKEND FOR CHAMPIONS AND RUNNER UP TEAMS"
"PRIZES FOR THE BEST "PINK" DRESSED TEAMS, ALL AGES"
"PRIZES FOR THE BEST PINK DRESSED COACH ALL AGES"
THE CAMP HAS BEEN CANCELLED DUE TO THE NUMBER OF TEAMS AND PARTICIPANTS. UNFORTUNATELY THE TIME CONSTRAINTS HAVE POSED A PROBLEM. THE COACHES WILL BE AT ROCKY RIVER TO INTERACT WITH PLAYERS AS WELL AS WATCH ATHLETES PLAY AND TO ANSWER ANY QUESTIONS THAT YOU MAY HAVE ABOUT COLLEGE RECRUITING. COLLEGES ALREADY CONFIRMED: Will keep list updated. OVER (100) TEAMS PLAYED IN THIS EVENT LAST YEAR !!! 1 Day Saturday ONLY "TOP GUN-USA" " ZONE QUALIFIER"
"ACTIVATES ALL FALL FREE PAID BERTHS"
"WIN UP TO $775.00 IN FREE PAID BERTHS THIS WEEKEND TO"
All Winners and Runner-Ups will receive 6 Bownet training balls in addition to trophies. 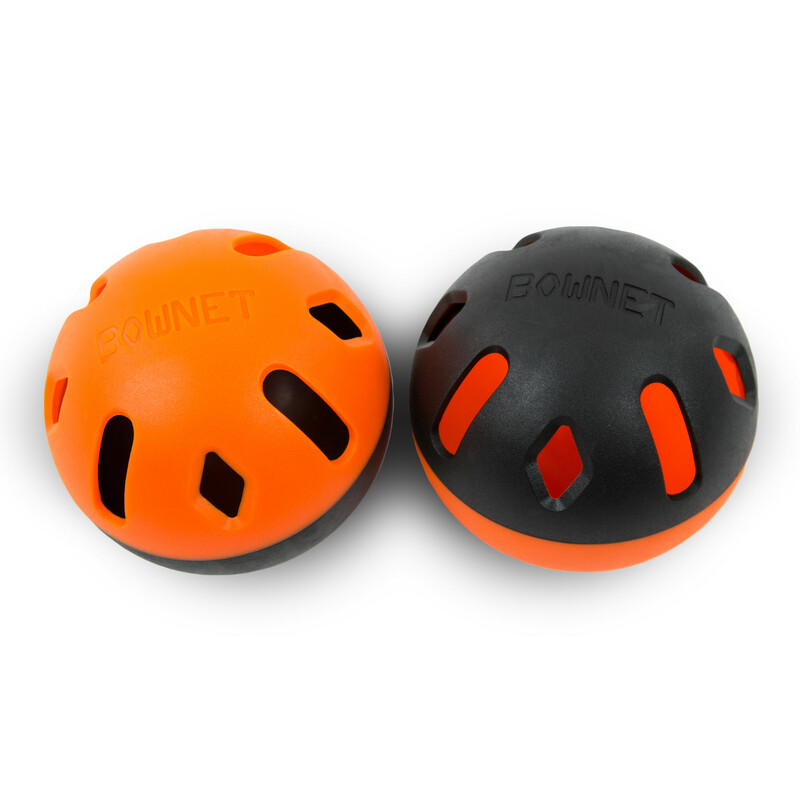 ALL TEAMS ENTERED WILL RECEIVE A FREE DOZEN (12)OF BOWNET SNAP BACK PRACTICE BALLS. 1 Day-"TOP GUN-USA" " ZONE QUALIFIER"
ACTIVATE YOUR FREE PAID BERTHS THIS WEEKEND!!! "TOP GUN-USA" " ZONE QUALIFIER"
"ACTIVATE YOUR FREE PAID BERTHS"
1 Day Top Gun-USA " ZONE QUALIFIER"
"ACTIVATE YOUR FREE PAID BERTHS THIS WEEKEND"
We also encourage teams to decorate one of their team tents in "PINK" and we will choose the best PINKED-OUT TENT and give a great prize. All Winning teams will receive 12 JUMBO CHAMPIONSHIP RINGS in addition to trophies. CONTACT: SHELLY BROWN or DON MASON to enter this event. 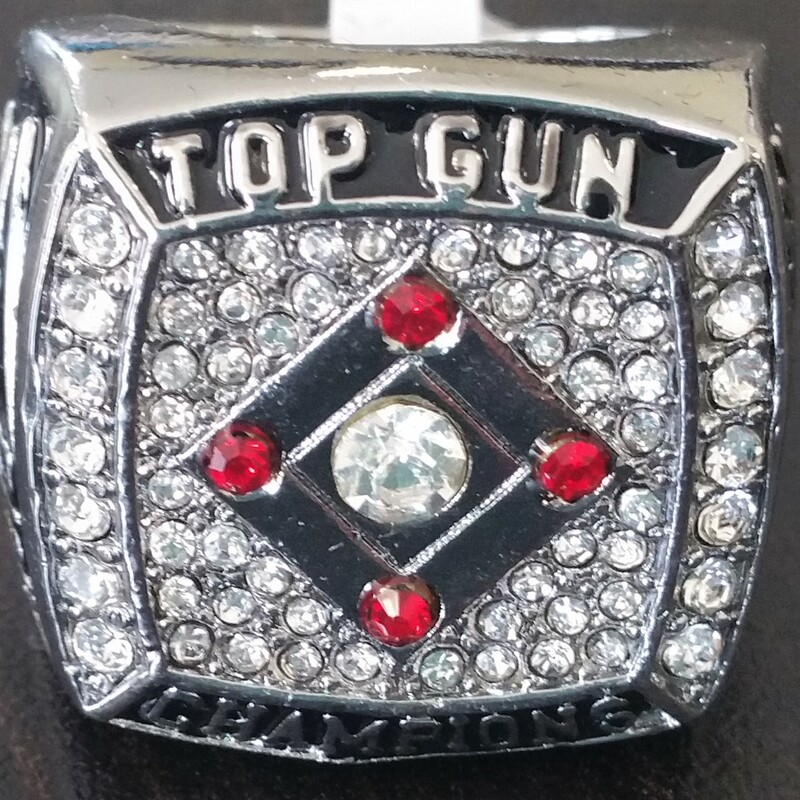 ALL CHAMPIONS AND RUNNER UPS WILL RECEIVE 12 TOP GUN CHAMPIONSHIP JUMBO RINGS. "SUNDAY ONE (1) DAY ONLY"
Any team that plays in the Saturday Anderson Tournament may play in this one for $150.00. 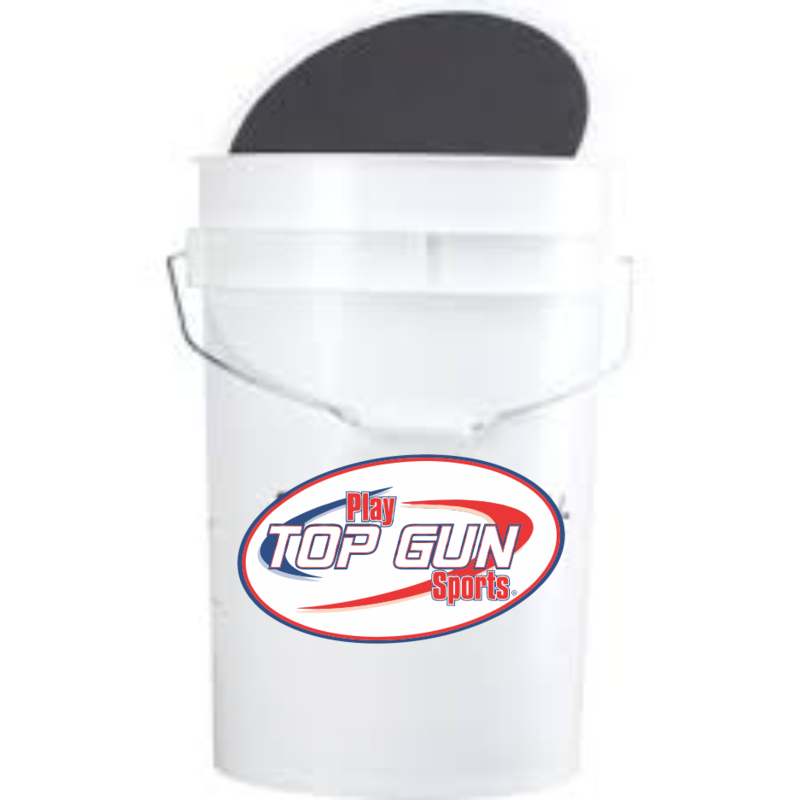 TOP GUN-USA "FREE BUCKET OF SOFTBALLS WEEKEND"
ALL TEAMS THAT ENTER AND PRE-PAY BY CALLING THE TOP GUN OFFICE WILL RECEIVE ON ARRIVAL AT THE TOURNAMENT A TOP GUN-USA BUCKET OF ONE DOZEN (12) SOFTBALLS. YOUR AGE DIVISION WILL DETERMINE WHAT SIZE SOFTBALL YOU WILL RECEIVE. IF YOU HAVE ALREADY ENTERED CALL OFFICE AND PRE-PAY. 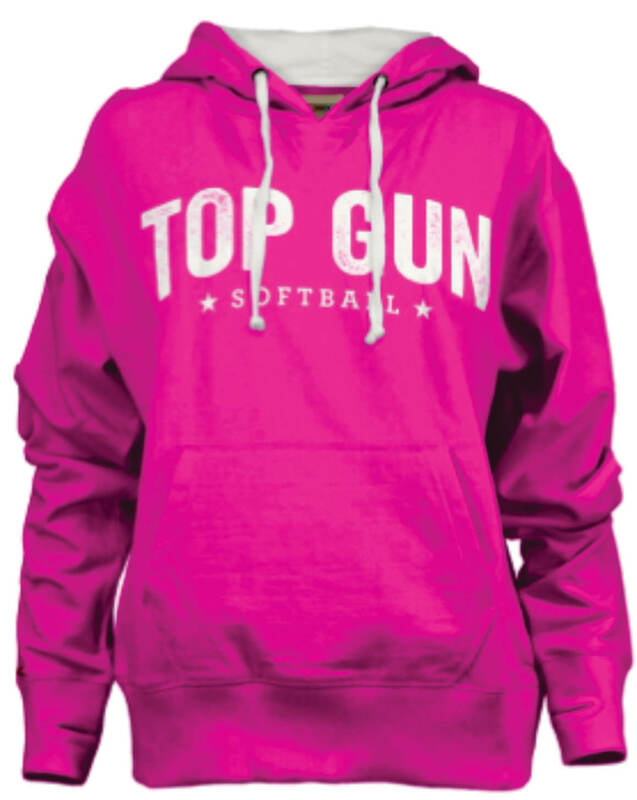 "THE ROAD TO MYRTLE BEACH"
"FALL ZONE QUALIFIER-PINK OUT MONTH"
All 8u, 10u & 12u winning teams will receive 12 Top Gun Hoodies in addition to trophies or medals. All 14u, and HS Champions will receive Top Gun T-Shirts in addition to trophies or medals. Top Gun USA "PINK OUT SATURDAY"
TOP GUN-USA WINTER WORLD SERIES"
Games are backed up to try to give us a chance to play Saturday. We will update if anything changes. Please check your schedule! We Will play 1 hour drop dead in Pool Play! We will play 1 hour finish the inning in bracket play! This is due to backing games up for weather issues! ALL TEAMS THAT CALL AND PRE-PAY BEFORE EVENT WITH THE TOP GUN OFFICE WILL RECEIVE ON ARRIVAL AT THE TOURNAMENT A TOP GUN-USA BUCKET OF ONE DOZEN (12) SOFTBALLS. YOUR AGE DIVISION WILL DETERMINE WHAT SIZE SOFTBALL YOU WILL RECEIVE. "Painted Pumpkin" contest bring your teams "painted pumpkin" enter it on our contest, best pumpkin wins a special prize. PLEASE NOTE: IF YOU AGE GROUP IS SCHEDULED TO PLAY AT JACKSON PARK YOU WILL NEED TO BE PREPARED TO PAY A $120 CASH TEAM GATE FEE AT CHECK IN. 8u and 12u Will Be At Jackson On Saturday. 10u Play Offered For Sunday. Please Contact Shelly Brown For Information.